looks delicious! i get questions about at the nursery on how to best preserve lemons. i will add this to the list. thank you! Thank you for this encouraging post. 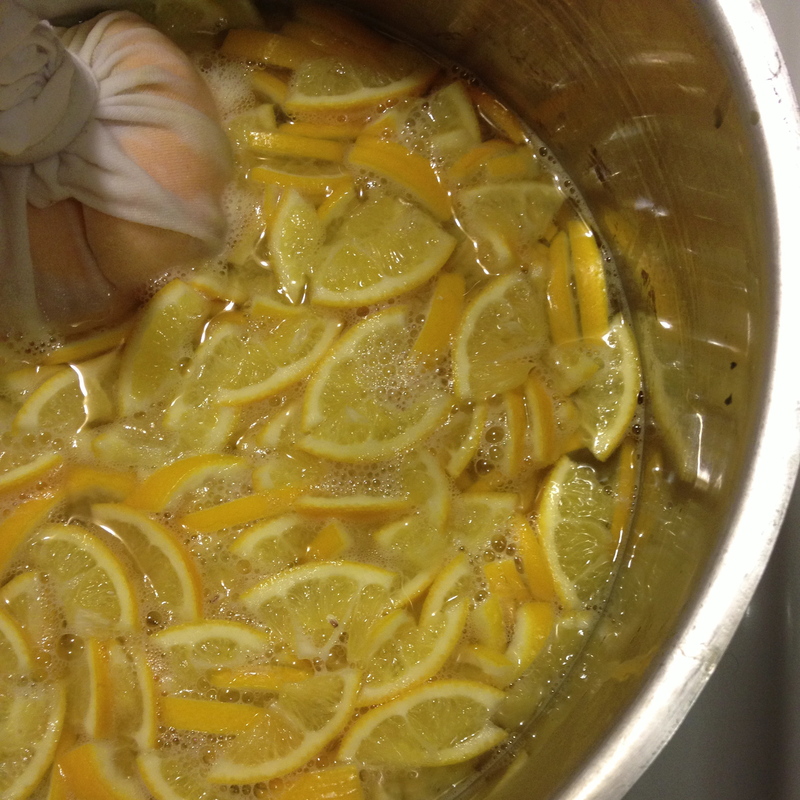 I just make meyer lemon marmalade and needed to double check proportions, since I made up the recipe as I went along! Mine looks just like yours and is fabulous on toast! Another note on preserving lemon (for 1-2 months in the refrigerator) I use Mahdur Jaffrey’s chutney directions for the lemon: Wash and cut lemon in 1/4″ chunks; put into a pint jar with 1 tsp salt. Shake contents and place on sunny windowsill. Leave in sun for approx 24 hours, frequently shaking and turning the jar. Refrigerate after. You can add this to chutneys or use it on chicken, rice etc. I add about 1/2 the jar to lentil soup or dahl, which brightens the flavors of the lentils! This sounds and looks amazing. I may have to run to the store to get some lemons. Yum! Thanks for such a simple recipe. I have about 20 lbs of whole frozen Meyer lemons (they all needed to come off the tree at the same time after that freak frost early in the season, and after juicing 2 gallons of it we broke our juicer and had to freeze the rest). They thaw surprisingly well. If you want to take a few off our hands the next time you’re in Ukiah, let me know! 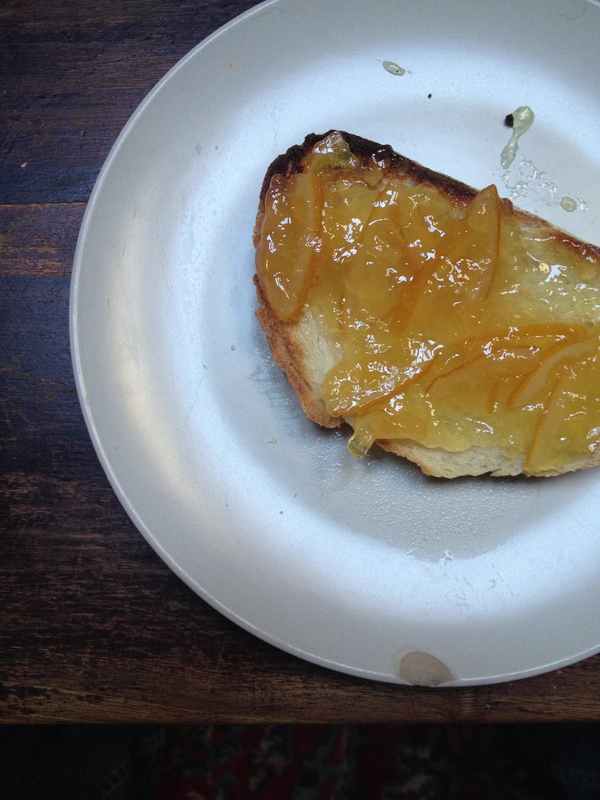 Made this delicious marmalade but cooked it with the seeds in and scooped them off at the end of the process. 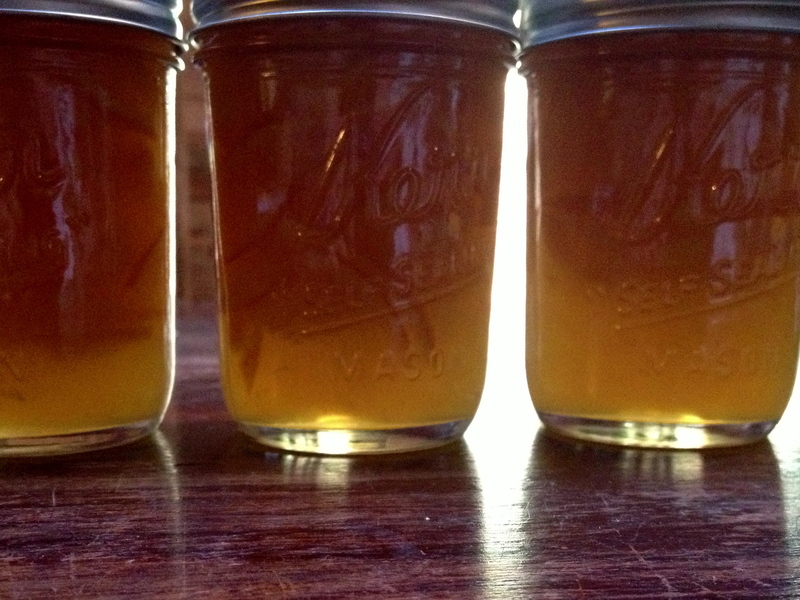 They float to the top when the sugar goes in and it was the easiest preserve I ‘ve ever made. Thanks so much. Tried your original recipe yesterday – the taste of peels in the marmalade was too strong for me. So – today I blanched the whole lemons first – before slicing and processing them – and then proceded with the recipe – the flavour of this batch is just perfect. Thank you again for this wonderful and simple recipe. I have so many Meyer lemons on our tree so I was excited to try this delicious looking recipe. The problem I have is the the liquid is still way too watery even after three hours of boiling! 20 minutes is in no way long enough. I tried the recipe again the second day thinking maybe I mis-counted something, but the result is exactly the same. What am I doing wrong? I could reduce the water by half and it probably would still be too liquidy. I ended up letting my recipe boil for the whole day, about 6 hours, uncoverand. By the way, I have an electric stove. My mum and I had 5 lbs of Meyer Lemons to use up so we candied the peels of 4 of them and then made this batch of marmalade. As Ana T mentions above, the flavor of the peels is a bit strong and bitter. Mum realized that we didn’t blanche the lemons for the marmalade at all, which would have reduced the bitterness. We had blanched the peels twice to preserve the lemon flavor AND reduce bitterness. I’ve had plenty of commercial marmalades that have this bitter tinge, I just would prefer it without. Next time I make this recipe I’ll blanche the lemons whole at least once before cutting. It may make it harder to cut, but will be worth the flavor.